Although there are many different types, some symptoms are the same. The only difference is that the ailment occurs in different parts of the body (i.e., groin or stomach). The symptoms may include feeling softness in that particular area. Early on there may be feelings of burning or warmth in that spot. Other possible symptoms are feelings of heartburn. This happens because acid is set against the esophagus. In some instances there is also chest pain. The pain becomes more severe when the person is lying down. However, there are cases wherein no symptoms are exhibited at all. As the condition worsens, the bulge will become more apparent. The heartburn and chest pain also vary when it comes to severity. A doctor can tell if the condition has set in by merely touching it. The patient may be required to cough. This action will make the bulge become more prominent. If it is hiatal (internal), diagnosis becomes more difficult. The symptoms of heartburn and chest pain will be used as a guide. A barium swallow test may be done. Here the patient swallows an object with barium. An X-ray is taken and the barium will help indicate if hiatal conditions are present. Another procedure is endoscopy. 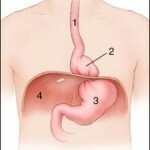 A device is inserted in the mouth and through the stomach. 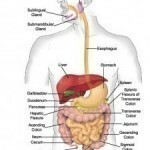 The doctor can then determine any abnormalities in the abdomen. This method is also used in detecting other ailments. If needed, other tests will be conducted. Left untreated, the condition will worsen and get larger. Some people like to use a truss to keep it in place. In minor cases, it may be pushed back in place. But the condition may get worse. Indications are its getting bigger and accompanied by vomiting. Nausea and pain become worse. In these instances, a truss will no longer be effective. Surgery is now done quite easily. Quite simply, the bulge is put back in place. All the other muscles are then set back in their proper position. The importance of getting treatment cannot be overstressed. Left alone, it can affect the intestines. In severe instances, the intestine may not be able to receive blood supply. This will kill it. One should avoid lifting heavy objects. Lying down after meals must be avoided. A spicy diet can make one susceptible to it. Other steps that can be taken are limiting intake of acidic foods and alcohol. Smoking tobacco and cigarettes must be stopped as well. If affected already, take small meals with as little flavoring as possible. Fiber rich foods should be part of the diet too. There are also some drugs that can help. These include antacids which reduce acidity in the abdomen. Alternative treatments include deglycyrrhizinated licorice, which can reduce stomach acid too. Maintaining the ideal weight and moderate exercise is recommended. Most hernia cases can be operated on successfully. The medication available also helps in managing the pain. Add in the proper diet and it becomes a manageable condition.